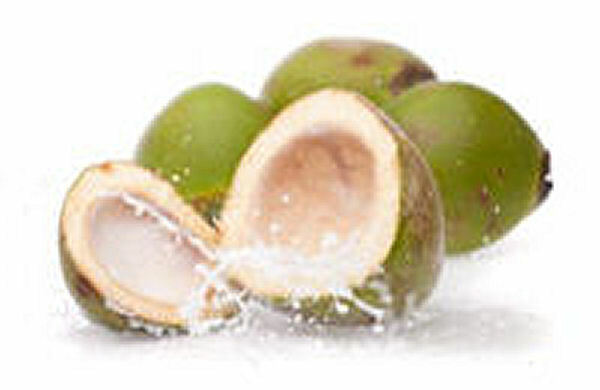 Coconut Oil is extracted from the nut of the Coconut Palm tree. When the oil is derived from fresh coconut, without going through any chemical processing or bleaching, it is called Virgin Coconut Oil. An important fatty acid in Virgin Coconut Oil known as lauric acid has been found to have anti-microbial, anti-bacterial, anti-fungal, anti-inflammatory and anti-oxidant activities. It can be used both externally and internally, which makes it very versatile. For example, it can be used as a cooking oil, but also as a skin moisturizer and as a key ingredient in soap, hair products, health supplements, and cosmetics. The nutritional properties of Coconut Oil make it a great herbal remedy for many health conditions. Studies have shown that Coconut Oil may help with hair problems, skin infections, stress, imbalanced cholesterol levels, weakened immune system, digestive problems, kidney problems, cardiovascular diseases, low blood pressure, diabetes, muscular strain, and rheumatoid arthritis. Studies have also shown that Coconut Oil enhances thyroid production, as well as fights fungi and yeasts that cause candidiasis, ringworm, tapeworms, athlete's foot, thrush, diaper rash, lice and other infections and parasites. Coconut Oil is known to help with the absorption of nutrients including vitamins, minerals, and amino acids in the body which enhances physical performance, endurance and boosts energy levels. A study has shown that regular use of Coconut Oil can help prevent and even diminish the appearance of Age Spots (also known as Sun Spots and Liver Spots). This is accomplished due to the anti-oxidant properties of Coconut oil, which fight against the oxidation of polyunsaturated fats and protein by free radical activity as a result of aging and over exposure to sunlight. Therefore a simple remedy for Age Spots is to massage a small amount of Coconut Oil into the affected areas several times daily until the spots fade away. Crush one whole peeled bulb of Garlic and mix it with one tablespoon of Coconut Oil. Rub the mixture onto the affected skin area twice a day (once in the morning, and once before going to bed). The prevent the garlic odor from affecting the bed sheets, a thin pair of cotton socks can be worn at bedtime. Coconut Oil is a fantastic natural alternative to chapsticks when you have chapped lips. The oil is easily absorbed into the layers of skin and into the cell structures of our lips, keeping them strong and supple. Therefore, simply apply a small amount of lukewarm Virgin Coconut Oil onto your lips whenever they feel dry. It is recommended to start applying the oil several times daily when cold and dry weather sets in, to help keep the lips soft and pliable. Virgin Coconut Oil helps treat diabetes by balancing the blood sugar levels and insulin secretion in our body. A recommended dosage is 1 tablespoon of Coconut Oil taken 2 to 3 times daily. It can be used as an alternative to regular cooking oil when preparing meals. Coconut oil is one of the best known natural conditioners for hair. The essential proteins and fats in the oil can help ensure that the scalp is free of dandruff and to repair dry/damaged hair. Therefore, a simple remedy for dandruff and dry hair is to massage Virgin Coconut Oil into the hair and scalp 30-minutes before taking a shower. It is safe (and even beneficial) to let coconut oil remain in the hair for up to 3 hours, but 30 minutes is usually sufficient. Coconut oil is beneficial for our heart and overall cardiovascular system. The key ingredient is lauric acid, which helps balance cholesterol and blood pressure levels. Studies have shown that populations that consume coconut oil regularly have lower rates of heart disease compared to the groups using regular vegetable oil when preparing meals. Therefore, you can try replacing your current cooking oil with Coconut Oil when appropriate. The key ingredient of Coconut Oil, lauric acid, makes it a great natural antiviral, antibacterial and antiprozoal agent. The small molecular structure of Coconut Oil smoothly penetrates through the layers of skin and keeps connective tissues strong and supple so that the skin doesn't dry, sag and wrinkle. Additionally, the anti-inflammatory properties of Coconut Oil help reduce chronic skin inflammation. Therefore, a natural remedy for many skin problems including wrinkles, dry skin, cellulite, stretch marks, psoriasis, and eczema is to apply Coconut Oil to the affected area several times per day. Coconut Oil is fairly safe for both internal and external consumption when used in moderation. An overdose of coconut oil can cause diarrhea. Coconut Oil, like many other oils, is also high in calories, so this should always be taken into consideration. Therefore, the recommended daily dosage is 1 to 3 tablespoons when the oil is used for therapeutic purposes. Coconut Oil can be purchased at most grocery and health food stores. When buying, look for cold pressed Organic Virgin Coconut Oil. Virgin Coconut Oil is extracted from fresh coconut flesh and retains many of the important nutrients compared to regular Coconut Oil which is derived from the dried fruit. This water is packed with electrolytes that can boost your energy levels. 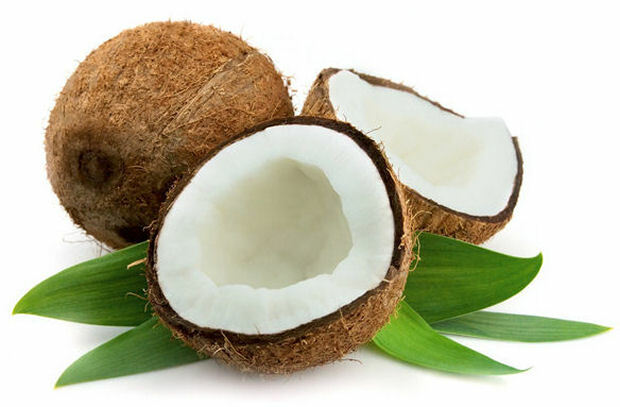 I began using Coconut Oil as a treatment for my Type 2 Diabetic Neuropathy discomfort in my feet and lower legs. It works, for me! I use the oil for all cooking that requires oil. You may repair Type 2 Diabetes by simply modifying your diet. Type 2 Diabetes conditions are repairable and do not have to advance into Diabetes that requires insulin. I use organic extra virgin coconut oil for hair and skin instead of expensive creams and conditioners. And it feels great! I was wondering if taking 1 and a half tablespoon of coconut oil is good for your skin? Will coconut oil lower blood pressure? Thank you. What is the difference between organic virgin coconut oil and pure coconut oil? I have been using coconut oil on my skin and hair for less than a month. I'm telling you my sunspots are fading RAPIDLY and my hair, seriously damaged from highlighting, is looking the best it has in years. Coconut oil is no joke. It is a miracle that I can bet many commercial beauty product companies DONT want anyone to know about. The other benefit, it is so inexpensive that you can lather your whole body in it daily. Looking forward to using coconut oil. I've heard a lot of good things about it.